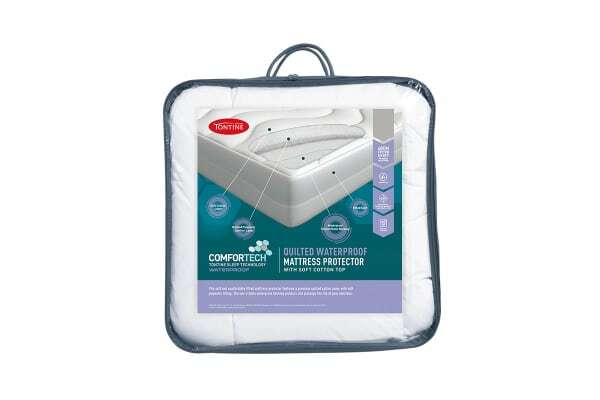 Enjoy peace of mind and sleep more soundly all year round, knowing your bed is protected against night sweats and spills with a Tontine Comfortech Waterproof Mattress Protector. Perfect for any member of the family! 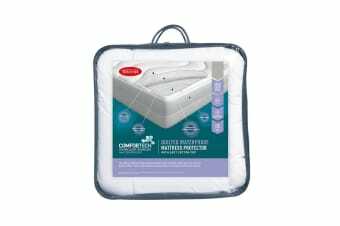 Forget stiff and crinkly waterproof mattress protectors – with the Tontine Comfortech Waterproof Mattress Protector you’ll be able to sleep soundly knowing your mattress is protected and comfortable. Made with a luxuriously soft, antimicrobial treated cotton cover and snug fitted skirt, you’ll be able to ensure your mattress is protected from spills and stains all year round.